Many lawyers, negotiators, and sports agents have a reputation of being tough and bullish. In some cases we think, "They're hired to get results - that's how they're supposed to be!" 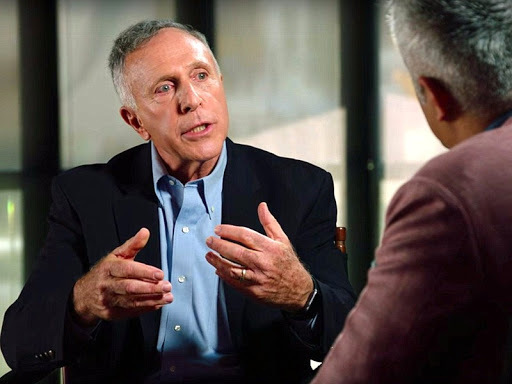 Recently, I had the honor of speaking with Ronald M. Shapiro who explained how he has broken this stereotype with a systematic approach called "The Power of Nice." Underlying Shapiro's philosophy is the assumption that treating people with respect and fairness is the key to success in building long-term mutually beneficial relationships. Shapiro has had an illustrious career as an expert negotiator, attorney, educator, New York Times bestselling author, civic leader, and sports agent to a slew of hall of famers. Shapiro's down-to-earth style, combined with a genius for negotiation, is why he has been called "one of baseball's most respected agent-attorneys," according to USA Today, and among the top 100 "most powerful people in sports," according to The Sporting News. A tuna fish sandwich instead of a fancy lunch — that's what sports uber agent Shapiro offered Baltimore Orioles superstar Cal Ripken, Jr. some years ago when they met, and it's the reason Shapiro was chosen over a swarm of other agents eager to represent Ripken, one of the best shortstops and third basemen ever to step on a ball field. Shapiro's genius is not limited to the sports industry. His dispute resolution techniques have settled a major symphony orchestra strike, facilitated solutions to human relations problems, and resolved disputes in governmental, corporate, and major biotechnology challenges. He has negotiated on behalf of, or served as deal coach to, Fortune 500 companies, government agencies, as well as entertainment and news personalities. Shapiro is frequently cited by parties representing each side in a negotiation as the ultimate "Win-win" negotiator. According to Shapiro, "The secret is to build long-term relationships, and the best way to build long term relationships? Do 'win-win' deals by using a systematic approach." This is not just a principle that Shapiro teaches, it is something that he lives by. Shapiro's passion for negotiation and desire to help parties create win-win deals led him to create the Shapiro Negotiations Institute (SNI) in 1995. SNI is negotiation, influence, and sales training and consulting firm that has trained over 350,000 professionals in the art of negotiation, dealing with difficult personalities, and enhancing preparation and listening skills. "Negotiation is a skill that you can develop and learn," Shapiro said. "To be an effective negotiator, it not only takes a systematic approach that includes preparation but also empathy and respect for the other side," he added. "In order to get what you want, help them get what they want," Shapiro said. "Good negotiation is not just talking - it's about effective listening." Lessons like these are embodied in Shapiro's four bestselling books on negotiation, including "The Power Of Nice," and most recently "Perfecting Your Pitch." As explained in "The Power of Nice," some of Shapiro's most challenging encounters were with the late, legendary trial attorney Edward Bennett Williams, who owned the Baltimore Orioles and the Washington Redskins. "Ed and I negotiated some very rough deals," recalled Shapiro, who represented a "tremendous number" of players on the Orioles' roster. Although the pair could have been viewed as adversaries, Shapiro added, "We both wanted the team to win," and with that mutual goal, they were able to successfully resolve salary negotiations. "Negotiations are not a one-time transaction," Shapiro said. "You have to see it as a long-term relationship." Indeed, he and Williams developed an "unbelievable friendship" despite their differences, in large part because they treated each other with respect and acted with honor. Shapiro never imagined a career in sports. He planned to be a civil rights lawyer, and out of law school went to work for a Baltimore firm suing to integrate segregated housing developments and apartments. His firm also asked him to take over some securities cases, after which he was named Securities Commissioner for the State of Maryland. That's where his negotiating skills were born. There were simply too many cases to litigate, Shapiro said, and he had to learn to resolve at least some through other means. This is how Shapiro's systematic approach to negotiation developed - out of necessity. Through his experience, he has developed what he calls the three Ps: Prepare, Probe, and Propose. These are the fundamental steps in order to systematically approach each negotiation. Preparation is the first phase in any negotiation and the most important. When you prepare you learn, among other things, about the other side. The more you know about them, their expectations, objectives, limits (time, money, resources), their perceptions of you, the deal, and its ramifications, the better you have positioned yourself to make the deal you want. The most successful negotiators are also the most prepared negotiators. Preparation can be tedious and because of that, it often can be overlooked. To ensure that no stone goes unturned as you gather information, Shapiro has developed "The SNI Prep Checklist," which is broken down into two categories: Information Gathering and Action Planning. The other side is trying to tell you how to make the deal – let them. Information gathering is not limited to background research. Many times, the best way to gain information is by asking the other side questions. The more you know about them —their expectations and objectives, their wants and needs, stated goals as well as real interest— the better equipped you are to negotiate. By asking the right questions and listening, the other side may disclose information that will be vital for you to achieve a successful negotiation. To do this, Shapiro has formulated a probing technique to learn the other side's interests that reminds you to probe, and after you think you have probed enough, probe some more. This probing technique is called W.H.A.T. Each letter represents a series of questions to dig deeper into the interest of the other side. For example, "H" stands for Hypothesize, which encourages the flow of information or breaks a deadlock without threatening the other side. Examples of phrases that can be used to set up a hypothetical are, "Let's pretend…", "What if…", and "Just suppose...". Many times when a negotiating party refrains from accepting your offer they say, "Well, it's not in the budget." Rather than continuing to argue over why it should be in the budget, respond by saying, "But if it were in the budget, would you support the project?" Whether their response is "yes" or "no," you will be gaining information or at least the opportunity to ask additional questions. By framing questions in a hypothetical, a good negotiator can break a deadlock and gain information even when the other side is reluctant to do so. The final "P" is propose. It is the culmination of your diligent preparation and probing. Shapiro's three rules of propose are 1) Try not to make the first offer, 2) Set your aspirations high (or low)—with reason, and 3) Don't (immediately) accept their first offer. Each rule guides you throughout the negotiation from first offer to acceptance. Shapiro's first rule, try not to make the first offer, has been the topic of debate amongst scholars. Shapiro emphasizes "try" because, in his decades of experience negotiating lucrative deals, when the other side makes the first offer, you may learn that you have underestimated your position and are able to get much more than you had originally anticipated. While Shapiro prefers letting the other side make the first offer, there are circumstances where that is not practical. Whether you are making the first offer or presenting a counter-offer, focus on the second rule, set your aspirations high (or low)—with reason. Use prior precedents to justify your offer.